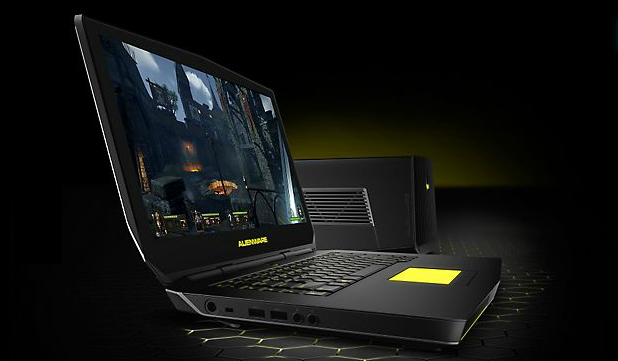 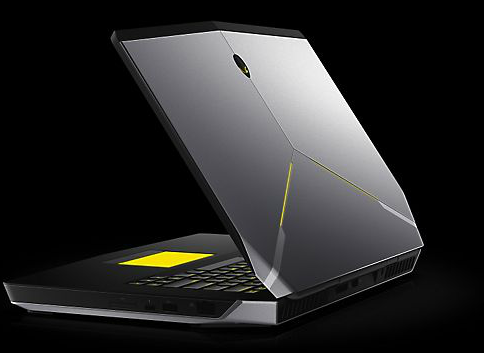 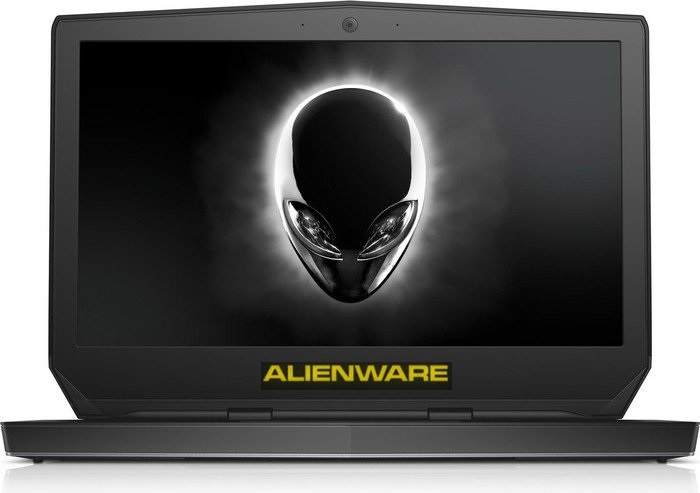 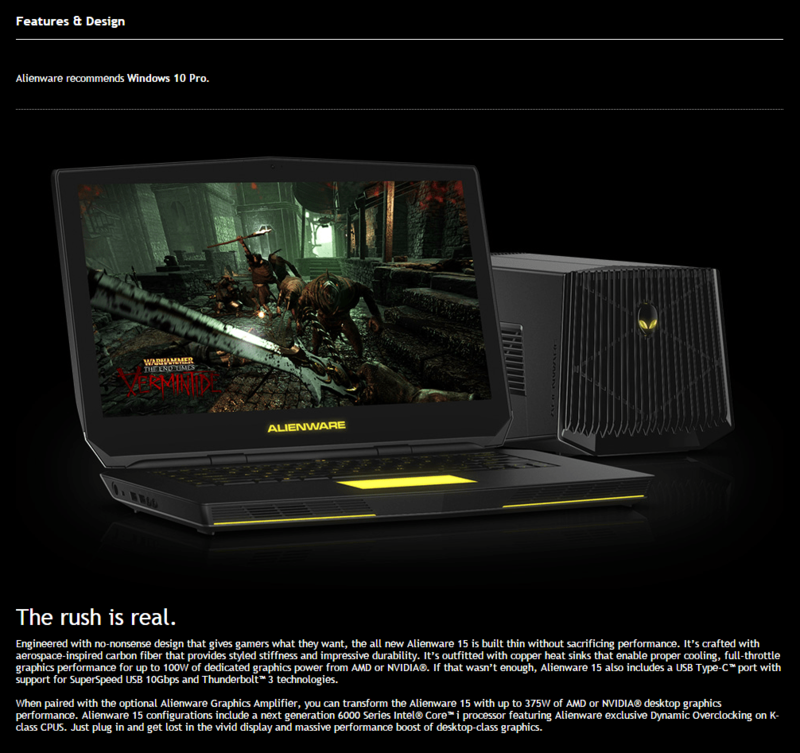 Engineered with no-nonsense design that gives gamers what they want, the all new Alienware 15 is built thin without sacrificing performance. 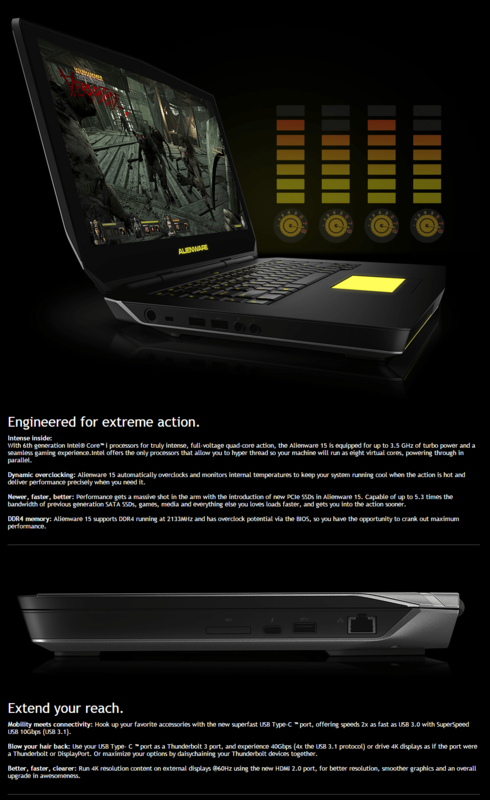 It’s crafted with aerospace-inspired carbon fiber that provides styled stiffness and impressive durability. 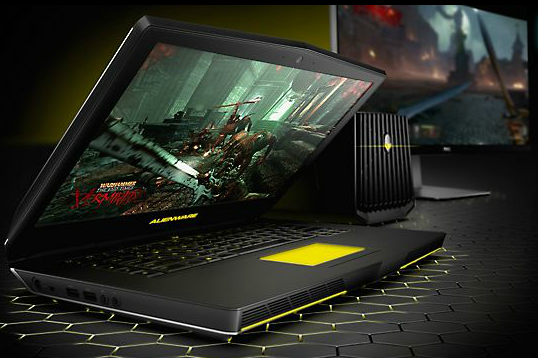 It’s outfitted with copper heat sinks that enable proper cooling, full-throttle graphics performance for up to 100W of dedicated graphics power from NVIDIA®. 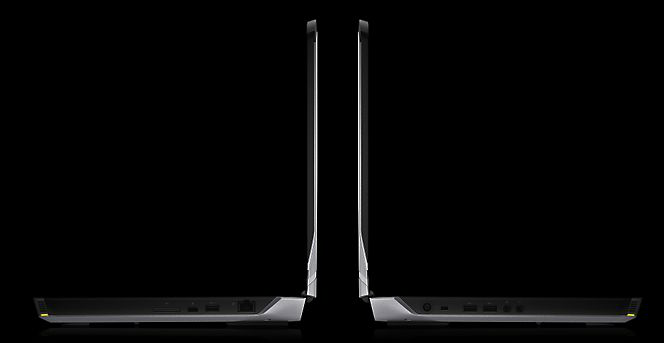 1 year parts warranty + 1yr English PC Tech Support!